Drawing animals presents peculiar problems especially if you want to draw realistic animals from many different perspectives. Being able to effectively draw an animal requires many drawing skills: a bit of anatomy of the species you want to draw is essential for example. A dog and a hippo both walk on four legs but their anatomy is strikingly different, as different are the proportions of the body parts and the spatial relationship between them. Moreover animals often present features (fur or feathers for example) which need a bit of dedication to render properly. But I do not want to scare you off this amazing branch of drawing, on the contrary I invite you, with the help of our tutorials, to take the challenge and try to draw animals to improve your drawing skills and to appreciate the rewarding feeling that comes from being able to draw them. 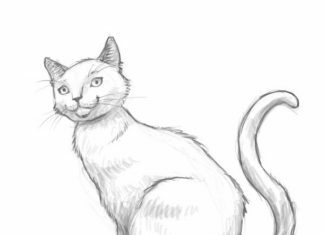 Like all DF tutorials, also the tutorials dedicated to drawing animals can be followed in at least two ways. They can be used as step-by-step session to draw the picture used in the tutorial or you can more thoroughly follow the explanations that accompany the images to get a deeper understanding on the process used to draw that particular animal. We have tried to fill these tutorials with useful information regarding the anatomy, the structure, and the problems related to each animal drawing. These observation and tips will guide you through a deeper understanding of the drawing process and hopefully help you develop your drawing skills much quicker.